licensed by the government of Ukraine. 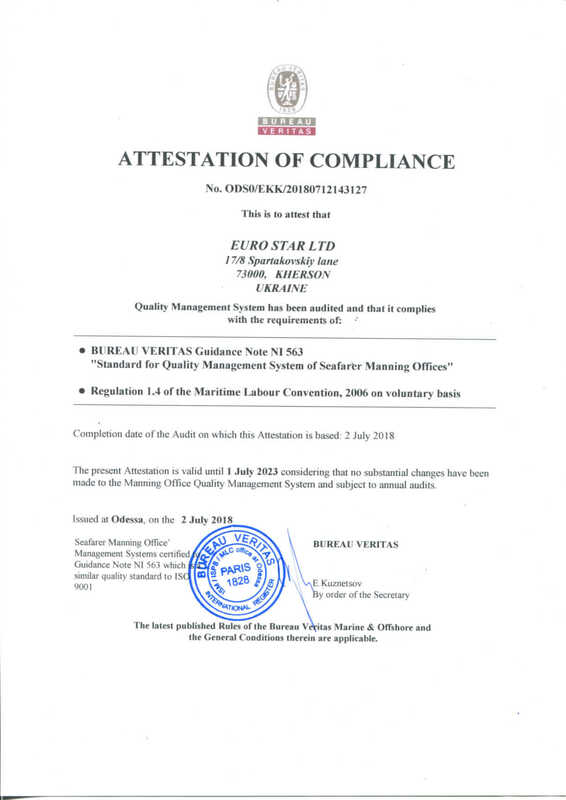 Also Our Company Received MLC Certificate On 02.07.2013. Over 11000 personal files from motorman to master for different types of vessels. vessels prior to their selling or leasing.